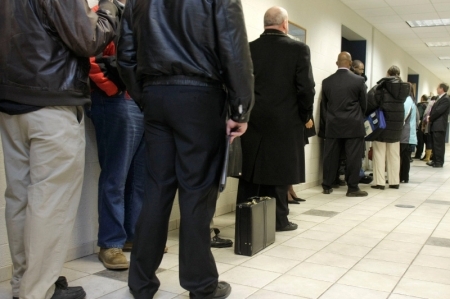 - The number of people who filed for unemployment assistance in the U.S. last week fell less than expected, according to official data released on Thursday. The number of individuals filing for initial jobless benefits in the week ended Feb. 2 decreased by 19,000 to a seasonally adjusted 234,000, the U.S. Department of Labor said. Analysts had expected claims to clock in at 221,000 last week. The four-week moving average rose by 4,500 to 224,750 last week. The monthly average is seen as a more accurate gauge of labor trends because it reduces volatility in the week-to-week data. Continuing jobless claims, which measures the number of people still receiving benefits after an initial week of aid, came in at 1,736,000 compared to 1,778,000 in the preceding week. That compared to a consensus forecast of 1,720,000. The previous week’s reading was revised down from an initial reading of 1,782,000.